Mena in her Welsh Costume representing the Society at the "One World Chelmsford"
Mair was born in Pontardulais in 1917 and qualified as a teacher. Her first teaching post was at Rettendon School near Chelmsford. After the outbreak of the second World War Mair started running social events including dances for local people. One of the “local” people that regularly attended her dances was Harry, then in the army, and stationed on what was then the second line of defence against possible invasion. They were married at Epping in 1942. Harry was first posted to Scotland, and then to Europe passing through the Low Countries to Germany. After the War Harry opened his fish and poultry shop in Broomfield Road, Chelmsford. Phillip was born in 1949, and when he moved up to the junior school, Mair went to work in Harry’s shop. She was always proud of her Welsh roots and was a great ambassador for Wales. Mair was a founder member of the Chelmsford and District Welsh Society and president on three occasions. She was one of the pillars of the Society and was much loved and respected and will be greatly missed by everyone. Mair was highly committed to the Society and worked hard to ensure its survival. Our monthly meetings and other events will not be the same without Mair’s presence. All those who came into contact with Mair know what a privilege it was to know and love her. Her contribution was not only to the Welsh Society but also to a range of Chelmsford activities. She will be greatly missed at Chelmsford Cathedral where she had been a member for many years. Many members of the public who regularly attend the Cathedral’s Friday lunchtime concert will miss her cheerful smile and excellent sandwiches. The funeral was held at Chelmsford Cathedral on Wednesday 12th June 2002. “said goodbye – but just for now”. It is with great sadness that the Welsh Society reports the death of Ken Davies on January 31st 2003. Ken was born in Poona, India in October 1934. On the return of his father's regiment to the UK, the family settled in Cardiff. The family home was bombed during World War 2 and Ken was evacuated to Cornwall. He returned to Cardiff to complete his schooling. His work with the TSB brought him to Chelmsford in 1956. He was joined in 1959 by his wife Jean, following their marriage. Ken and Jean were founder members of the Chelmsford and District Welsh Society. He worked tirelessly on behalf of the society. He was a committee member, secretary, treasurer, president on two occasions and concert secretary. His long association with the South East Essex Printing Branch, of which he was secretary for 30 years, ensured that all required printing work on behalf of the society was done by Ken. He gave willingly of his own time to utilise his printing skills. Ken will be remembered for many things in connection with his work on behalf of the Welsh Society. However, it was his work as concert secretary that was legendary. He was responsible for promoting the society's annual concert when a Welsh Male Voice Choir would visit Chelmsford. Ken was known and admired by all the top Welsh Male Voice Choirs as the King of Concert Organisers. His planning of concerts was meticulous - clearly defined lists of jobs to be done. Ken was a perfectionist. In his search for perfection, he was at time a worrier. Would the choir turn up on time? Would they be at full strength? Would they return any tickets? There are a number of Welsh singers who now grace the world's concert stages who had one of their big concert chances at a concert arranged by Ken. He would seek out young Welsh musical talent as they studied in one of the London colleges. He would invite them to Chelmsford and for many this was the launch pad for successful careers. 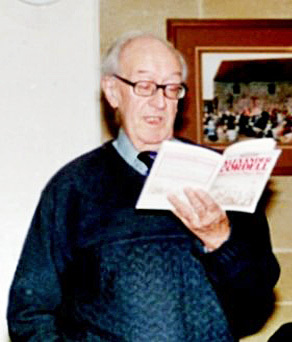 Ken was a great recruiter of members for the society. Any prospective member would be encouraged by Ken and Jean to join, what he considered to be one of the best Welsh Societies in England. Ken became a member of the Chelmsford Male Voice Choir in 1999 and soon became the choir's publicity manager. He combined his work on behalf of the choir by supporting a range of local charities. Ken Davies was a kind and caring man, much loved and respected by all who knew him. He was a man of action - a doer. Give Ken a job to do today - and he would try to do it by yesterday! Kens' name and kind deeds will never be forgotten by his family, his neighbours, his colleagues and his friends. We thank God for the life and work of Ken Davies and his dedication to the service of others. It is with great sadness that I have to inform you of the sudden death of Viv Tucker on the 9th October 2002. Viv died while on holiday in Malta. He had been a loyal and supportive member of the society since 1962. He contributed to the work of the society quietly behind the scenes. Viv was a generous, caring and good man, much loved, admired and respected by all who knew him. We extend to Hilary, David, Pam, grand daughter Emily and all the family, our deepest sympathies. It is with great sadness that I inform you of the death of Florence Howells on the 9th July 2003. Florence was born and bred in Llanelli. She was proud of being Welsh and proud of being a 'Sospan'. She trained as a teacher in Bangor and took up a teaching appointment in Essex. It was in Essex that she met her beloved Cyril. Florence had a most successful teaching career and she instilled a love of literature into the hearts and minds of many children. She became a member of our society inthe early 60's and she was a pillar of our society until her death - a past president and an active committee member for many years. Her addresses at our annual June services in Little Baddow have, and will remain, in the memories of all those who heard her speak so eloquently. It has been our privilege to know and to love her. We extend to Cyril, John, Rosemarie, Myfanwy, Leslie and family our very deepest sympathy at the loss of a much -loved wife and devoted mother, mother-in-law and grandmother. I regret to inform you that yet another long-serving member of our society died on Sunday, 8th September 2003. Mike was born in Redgate, Surrey but he was educated in Pontypridd. Following distinguished service in the Royal Navy Mike, together with his wife Maureen, came to live in Chelmsford 37 years ago. He spent most of his working life at Marconi except for the last 6 years, when he was employed by the Post Office. Mike was a very active member of our society and was a past president. His funeral was held on Wednesday, 17th September 2003 at Chelmsford Crematorium and it was very well attended by family, friends and representatives of the many associations and groups of which Mike was a member. These included the Essex Yeomanry Band, who played most impressively at the funeral service. We extend to Maureen, Pamela, Gareth and all other members of the family, our very deepest sympathy at the loss of a much loved husband, father and grandfather. It is with great sadness that I inform you of the death of Margaret Dutton on Monday, 11th May 2009. Margaret was one of the founder members of our society and remained a loyal and faithful member from 1962 until she became ill. She was president on two occasions- 1967-68 and 1996-97 and served as treasurer. She was an active committee member for many years. Margaret and her late husband Frank, worked fervently on behalf of the society by supporting and organising many events. She hailed from Swansea and was proud of her Welsh roots. The Service of Thanksgiving held in Chelmsford Cathedral on the 21st May 2009 was well attended by society members. We extend to her son, daughter, grandchildren and her great grandchild our deepest sympathy at the loss of a remarkable lady. It has been the privilege of society members to have known and worked alongside Margaret. It is with great sadness that I inform you of the sudden death of Cyril Howells on the 19th January 2010. Cyril was born in Ferndale in 1926. He trained as a teacher in Sheffield and then took up a teaching appointment in Essex. It was here that he met Florence and they married in 1951. Florence and Cyril became members of the society in 1963 and Cyril was secretary for 26 years; president on two occasions and a committee member until 2004. Cyril’s commitment to our society was of the highest order. He will be irreplaceable. What he gave the society is immeasurable. When people think of the Chelmsford Welsh Society they think of Cyril Howells. It was Cyril who coined the phrase –‘There is no such thing as a stranger in our midst; only friends we have not yet met’. He was a pillar of the society and responsible, with others, for the warm and friendly atmosphere that now permeates our meetings and events. Cyril’s funeral was held on Wednesday, 3rd February 2010 at Pitsea Crematorium and it was well attended by his family, society members and his many friends from all walks of life. We extend to Rosemary, John, Myfanwy, Leslie and the family our very deepest sympathies at the loss of a devoted father, father-in-law and grandfather. mother-in-law and grandmother. I feel most privileged to be invited to say a few words at this celebration of the life Cyril Howells- one of the most loved and respected men that I have ever known. I speak in particular on behalf of the members of Cymdeithas Gymraeg Chelmsford a’r Gylch – The Chelmsford and District Welsh Society. Every one of us is here today because in some way or another it has been our good fortune to have known Cyril. Each one of us has our own personal memories of his life – a life that was enjoyed to the full; a life that ended so suddenly. We all have different pictures of Cyril’s life; our own snapshots and we could fill a huge photograph album with them. All present will be able to remember times they shared with Cyril and be eternally grateful for those times. Cyril was a passionate man; passionate about his family; passionate about his teaching; passionate about his friends who came from all walks of life; passionate about his beloved Wales; passionate about his rugby and passionate about the Chelmsford Welsh Society. The Welsh Society played a major part in Cyril’s life. We are so fortunate that from that ‘Valley called the Rhondda’ – Cyril came to live and work in Essex. He and Florence joined the society in 1963 and in 1965 he was elected to the committee. He became secretary in 1966 – a post he held for 26 years. In April 2008, at one of our monthly meetings, we surprised Cyril by presenting -‘This is Your Life– Cyril Howells’, introduced by the then President, Cynthia Styles. The TV programme presented by Eamon Andrews with his red book, lasted for half and hour – it took us over 2 hours to go through the Life of Cyril – we couldn’t stop him talking. Errol Knott and Ron Barnes had to wait outside in the foyer for 2 hours. It is rumoured that they went for a pint while they waited. Cyril’s preoccupation in life was people. He was always introducing people to other people. In 1974 he recorded in the minutes of an AGM that the society must consciously work at integrating new members. He prepared a leaflet for prospective members of our society in which he stated: ‘There is no such thing as a stranger in our midst; only friends we have not yet met’. This belief has helped to create the warm and friendly atmosphere that now permeates all our meetings and events. Cyril was magnificent at recruiting new members – if he heard a Welsh accent being spoken he would start up a conversation and invite the people to a society meeting. Derfel and Gwyneth will vouch for this. When Cyril relinquished the post of secretary in 1992 he had persuaded my wife Mair to take over from him. What an act to follow – Mair was so grateful for the help and guidance given to her by Cyril during her induction year – advice that she continued to value until Cyril’s untimely death. Cyril remained on the committee for a number of years and in addition to his tenure as secretary he was our President in 1975-76 and 1991-92. He undertook this office with great distinction, ably assisted by Florence. The two remaining founder members of our society – Jean Davies and Janet Wash are with us today. Every society meeting and event was a highlight for Cyril. He would always say – a great evening; we have a wonderful society. He always found our annual concerts most inspiring. He used to sell over 90 tickets for our concerts but had to apologise in recent years that he couldn’t sell as many - because many of his customers had died! I hope that those of you who bought tickets from Cyril will continue to attend this annual event. I hope John and Rosemary will be our ticket agents in South Essex. Cyril’s favourite choir was Llanelli – possibly influenced by Florence. We have heard some splendid male voice choir singing together with the giants of male singing – Paul Robeson and Bryn Terfel. When we presented Cyril’s This is Your Life, our roving TV reporter Mike Price showed a recording that he had made at a Llanelli choir rehearsal, in which some members recalled memorable concerts in Chelmsford and post concert drinking sessions at Cyril’s home. Cyril enjoyed the concerts but the ‘After Glow’ in the Marconi Club or more recently at the Miami Hotel, gave him even greater pleasure because he could have a chat with people, make new friends, have a drink and indulge himself in more singing. Cyril was instrumental in bringing first class speakers and entertainers from Wales to Chelmsford for our monthly meetings. He was determined that the society retained its ‘Welshness’ and its high status. We shall continue to do this in memory of Cyril and to ensure that the society continues to thrive. We hold our annual St. David’s Day Dinner at the County Hotel, Chelmsford on Friday, 26th February – Cyril will not be there and will not be able to undertake the task of being bearer of the leek and ale at our Order of the Leek Ceremony as he has done since the inception of this ceremony. I should like you all to know that he never once spilt a drop of beer as he carried it on a silver tray. I know that there are a few present today that will have witnessed him spilling a drop of two at the Basildon Rugby Club. He was proud of being a VP of the rugby club and often spoke to me of his great nights with the boys. Last Thursday, we held our annual Noson Lawen – Cyril had phoned our President, Shirley Moody, to tell her that he would like to tell a few jokes, as was his custom. We all appreciated his wit and humour and his smile. Have you heard this one he would often ask? Unfortunately, he was not there in person but I can assure you that he was there in spirit. Many people paid tribute to Cyril at the ‘This is Your Life’ evening either in person, by letter or by a recorded message. Max Boyce was able to convey a message by one of the wonders of modern technology. Cyril also received a letter from Gordon Brown. The Prime Minister, in thanking Cyril for his hard work and dedication, highlighted the fact that Cyril’s contribution to the society was much appreciated by everyone who had the privilege of working with him over the years – stating that fellow members were very proud of all he had achieved. You will be glad to know that there were no spelling mistakes in the letter and the Prime Minister’s signature was legible. Cyril was a great reader and he loved books. He loved browsing in bookshops. When the society visited Llandudno for a long weekend 2 years ago - Cyril spent part of the Saturday in Tristan’s Antique Bookshop and bought a few more books. He had a remarkable memory for recalling stories and factual information that he had read. I found his recall of so many events of yesteryear quite amazing. My wife Mair and I were fortunate in that Cyril always passed on to us all Welsh magazines and books that he had obtained - there was always a piece of paper inserted into them highlighting a particular article or page that that we ought to read. But he always said you can keep the magazines but I want the book back MIND. In November, he gave Mair the book ‘The Pain and the Privilege (The Women in Lloyd George’s Life) by Ffion Hague – very interesting reading he commented. He went on to say - I don’t want this one back Mair - you keep it. I know that she will keep it and treasure it. I think that Cyril would have liked you to listen to this short poem. It is called ‘After Glow’ it has nothing to do with the ‘concert after glows’ I mentioned earlier. It is by an unknown poet – but I want you all to imagine it was written by Cyril. I'd like to leave an after glow of smiles when life is done. We all have delightful memories of a truly gentle, gentleman. Cyril was not a stranger in our midst but a remarkable friend whom we were so fortunate to have met. He was a man who always saw the good in people – never a bad word about folk. No words of mine can express the depth of gratitude that the Chelmsford and District Welsh Society owed to Cyril. He will be irreplaceable. What he gave us is immeasurable. When people mention our society they think of Cyril Howells. Cyril’s name, his inspiration, his humour, his special charm, his friendliness and his kind deeds will never be forgotten by his family, his colleagues, his friends or anyone who had the good fortune to meet him. All present and those unable to be with us today, extend their deepest sympathies to John, Rosemary, Myfanwy, Leslie, Sarah, Jonathan, Rhys and other family members, at the loss of a caring and much loved family man. And say - goodbye Cyril - but just for now. We are sad to report the death of Phillip Evans on January 29, aged 79. Phillip was a longstanding member of the society who was very supportive and complementary of our events, always attending the St David’s Day Dinner and the annual Male Voice Choir concert. Phillip also assisted the society as an auditor. He preferred to rely on his own abilities rather than that of the computer or calculator, but our treasurer reports that he was confident the figures were correct if Phillip had signed them. He was born in South Wales and started work in banking, taking up a post with Standard Bank in Kenya until he joined the RAF. On leaving the RAF he returned to the banking industry finally retiring as a regional marketing manager with Midland Bank. He had been a County and Borough Councillor and served a term as deputy Mayor of Chelmsford. He was an active member of the Roxwell Parish Council, a post he had held for 31 years. Phillip had a wide range of interests, principally his family. He was also an accomplished Bridge player, an enthusiastic supporter of Chelmsford City FC and of Welsh Rugby. He had a passion for classical music, opera, traditional jazz, ragtime and, of course, Welsh male voice choirs. We extend our deepest sympathy to his wife Nilda, children Paul, Katherine and Anthony, and to his grandchildren. It is with great sadness that we report the death of Profesor Meredydd Hughes on the 8th March at the grand age of 87. Meredydd was born in the Rhondda, the son of a Methodist minister. His father moved from place to place and Meredydd lived in Blaenaun Ffestiniog and Rhyl. He was a distinguished academic and was headmaster of Dynevor Grammar School Swansea from 1957 to 1965. He became a senior lecturer in Education at Cardiff University before being appointed Professor of Education at Birmingham University. From 1986 to 1990 he was President of the Commonwealth Council for Educational Administration and Management. On his retirement, he and his late wife Glenys moved to the Chelmsford area to be near their daughter Mair and her family. They both joined our society and enjoyed attending our monthly meetings. It is with great sadness that I inform you of the death of our oldest member- Lilian Banks, who was 96. Lilian was born in Tonypandy in 1914 and died on August 21st 2010. She was very proud of being a classmate of George Thomas (Lord Tonypandy) She often read out letters and showed cards that he had sent her at society meetings. On leaving school, she trained to be a florist. She married a Tonypandy man – Victor Banks and they moved to Chelmsford in 1937. They had 3 children – 2 girls and a boy. Victor was an architect and worked for Chelmsford Council designing schools. Lilian worked for the Post Office, delivering mail with the aid of a horse and trap to many areas. In later life Lilian and Victor started building a bungalow in Alderney, Channel Islands, in preparation for their retirement. Sadly, Victor died in 1969 and Lilian remained in the Chelmsford area. Lilian was a very active person and she loved gardening in addition to keeping chickens and goats! She was heavily involved in the local community and was treasurer and president of a Darby and Joan Club. She also delivered ‘meals on wheels’. We were fortunate that she joined our society and she very much enjoyed attending our monthly meetings and events and she always donated in a most generous manner to society charities. Lilian adored her 3 children and her grandchildren. During the last few years of her life she lived with her beloved Kathy who brought her to our monthly meetings. We extend our very deepest sympathies to Kathy and all the family at the loss of a much loved mother, mother-in-law and grandmother. Lilian was a very special lady who will be remembered by all who had the good fortune to know her. Long standing members of our society will be sad to hear that Molly Holly died last week at the age of 92. She and her husband Fred, were society members for many years. Molly hailed form Clydach in the Rhondda valley. Her funeral will be held on Wednesday, 22nd September 2010 at the South Chapel, Chelmsford Crematorium at 1-15pm - followed by burial. It is with great sadness that we announce the death of Elizabeth (Betty) Hammond after a short illness. Her funeral took place at Heybridge Church on 8th February 2011. Betty has been one of our foremost supporters, having been President on two occasions. I feel most privileged to be invited to say a few words at this celebration of the life of Betty Hammond. I speak on behalf of all the members of the Chelmsford and District Welsh Society. Every one of us is here today because in some way or another it has been our good fortune to have known Betty - a much respected and admired lady. The Welsh Society played a prominent role in Betty’s life. She was a member of the committee for 25 years; was President on two occasions; became treasurer when no one else would undertake the position – she told me that she was delighted to hand that role over to Eddie Alcock. She took over the organisation of our church services from Cyril Howells and she achieved fame when she became the first ever female Master Of Ceremonies at our annual St. David’s Day dinner. Betty organised proceedings with a firm hand. Another first for Betty was the bringing of the Gamlingay Players to one of our monthly meetings during her year as President – for a performance of a murder mystery play. Yet another first was the visit she arranged to Gonville and Caius College for evensong – a memorable day for the society. Betty was always one of the first to volunteer to host charity lunches, coffee mornings and garden parties. Her contribution to our annual ‘Noson Lawen’ was of the highest order and we will miss her readings of humorous Pembrokeshire jokes. She always enjoyed a good laugh. In all these numerous undertakings she could always count on the support of Ron. We are eternally grateful to Betty for bringing Cally to our society and members are always so impressed with the manner in which Cally conducts our annual St. David’s Day services. Betty and Ron were ever so proud to see Cally in the pulpit at Little Baddow. She also brought Tommy and Charlie to distribute daffodils at our St. David’s Day Dinner – a job they did magnificently for a number of years. She was instrumental in bringing the Haverfordwest Ladies Choir to Chelmsford for a charity concert and was so proud that her sister Janice sang with the choir. This was different to the usual Male Voice concerts that Betty enjoyed so much. Indeed. Betty enjoyed all things Welsh. She would have been upset by the result of the rugby last Friday when England beat Wales! Betty was a generous and thoughtful person and my wife Mair will always cherish the laced bookmarks made so patiently and skilfully by Betty and given to her in appreciation of her work as secretary. The society was delighted to share Betty’s joy at the award of an MBE to Ron some year ago. No words of mine can express the depth of gratitude that the Chelmsford Welsh Society owed to Betty. Her death has left a void because she contributed so much to the work of the society. She was a person who was always involved; a person who was reliable, caring and faithful. Betty’s name, her inspiration, her enthusiasm, her humour, her friendliness, her generosity and her kind deeds will never be forgotten by anyone who had the good fortune to know her. All present will be able to remember times they shared with Betty and be eternally grateful for those times. Society members extend their deepest sympathies to Ron, Angela, Cally, John and all other family members at the loss of a caring and much loved person. I conclude with 4 lines from the pen of the Welsh poet – Dylan Thomas. And say – goodbye Betty – but just for now. Ron was a loyal and faithful member of our society and husband of the late Betty Hammond. (See above). Ron died peacefully aged 83 on Sunday 25th August 2013 after a decline in health over recent years. We send our deepest sympathies to Cally, Angela and John, to his brother Mike and all the family. Ron worked for the Marconi Company in Chelmsford for many years and was Technical Manager of Naval Division, Marconi Radar Systems Ltd. with responsibility for the Seawolf missile system. The Funeral Service took place St Andrew’s Parish Church, Heybridge, at 2pm on Thursday 12th September 2013, followed by the Committal at Chelmsford Crematorium at 3.30pm. The service was conducted by his daughter Mrs Cally Hammond and was followed by refreshments at the Miami hotel. Haydn and Gwenda were both very active members of the society following their return to the UK from a life in America. They settled in Burnham on Crouch but due to bad health in recent years have been unable to attend our meetings and activities. Haydn died peacefully at Admirals Reach Nursing Home on 24th July 2011 Aged 88 years, followed by Funeral Service on Thursday 4th August 2011 at All Saints Church, Creeksea at 2 pm followed by interment in the Churchyard. Gwenda survived Haydn for just two years and Gwenda died in Bromfield Hospital on 30th June 2013 aged 89. Her funeral took place on Wednesday, 17th July 2013 at All Saints Church, Ferry Road, Creeksea at 2pm followed by interment in the Churchyard. 30th December 2011 at the age of 87. Menna hailed from North Wales but had spent most of her adult life in Tunbridge Wells. She moved to Chelmsford to be near her daughter. Menna used to enjoy our monthly meetings but ill health prevented her from attending for the past two years. However, she enjoyed reading our monthly newsletter and keeping up with society news. Her funeral was held on Thursday, 19th January 2012 at 11.45am at Chelmsford Crematorium. I feel most privileged to be invited to say a few words at this Service of Celebration for the Life of Gwyneth Abbott. I speak on behalf of all the members of the Chelmsford and District Welsh Society – Cymdeithas Gymraeg Chelmsford a’r Gylch. Gwyneth was christened Gwyneth Lloyd Roberts – hence it is no surprise that she was Welsh; indeed she was most proud of being Welsh. The name Gwyneth has a number of meanings – these include blessed, happy, white and fair. All these meanings apply to Gwyneth. Every one of us is here today because in some way or another it has been our good fortune to have known Gwyneth - a much respected and admired lady. The Welsh Society played a prominent role in Gwyneth’s life. She was recruited by the late Ken Davies, who was the manager of the Trustees Savings Bank in Brentwood. If Ken heard a Welsh accent or recognised a Welsh name, he would tell the person concerned all about our Society. We are eternally grateful that Gwyneth decided to bank with the TSB. Gwyneth joined the Welsh Society committee in 2002, taking the place of the late Mair Goodman. She was appointed to the catering sub-committee and then took over the organisation of this important group from the late Margaret Dutton. Mair and Margaret were founder members and pillars of the society. Gwyneth soon became another pillar of our thriving society. She was a person of action – a doer; a tremendously hard worker who performed her duties in a calm, quiet, dignified and most efficient way. Gwyneth did not seek the limelight – but she could be found working competently and wholeheartedly, behind the scene – usually in a kitchen, preparing and serving refreshments. The work she did ensured the continuing success of the Chelmsford Welsh Society. This is the time of the year when Gwyneth would have been finalising arrangements for the pre-concert feeding of the choristers of Côr Godre’r Aran when they sing in Chelmsford Cathedral on Saturday, 22nd June. Choristers will miss a familiar face in the Chapter House, but such was the thoroughness of Gwyneth’s preparation that her deputy, Edith Brown, will be able to fill the void left by Gwyneth’s death. No words of mine can express the debt of gratitude that the Chelmsford Welsh Society owed to Gwyneth. Her death has left a big gap because she contributed so much to the work of the society. She was a person who was always involved; a person who was reliable, trustworthy, caring and faithful. She was an ever present face at all our meetings and events. Gwyneth’s name, her inspiration, her enthusiasm, her preparedness to work hard, her friendliness, her generosity and her kind deeds will never be forgotten by anyone who had the good fortune to know her. All present will be able to remember times they shared with Gwyneth and be eternally grateful for those times. Society members extend their deepest sympathies to Chris, Lynne, Huw and all other family members at the loss of a caring and much loved person. We thank God for the life of Gwyneth and her dedication to the service of others. And say – goodbye Gwyneth – but just for now. It is with great sadness that I inform you of the death of Chris Abbott devoted husband of the late Gwyneth Abbott. Chris died on 20th December 2013. A Thanksgiving Service was held in Trinity Methodist Church on Wednesday, 8 January 2014. Chris was a loyal and supportive member of our Society. Chris was born in the London area in 1926 and was pasionate about going to sea from an early age. He realised his dream in the last few months of the war and joined his first ship Silveroak. This was a tramp ship so he could be away from the UK for up to two years. He progressed through the ranks taking his exams at the seaman ship school in Southampton. He was then pleased to move to the shorter “liner” voyages offered by Clan Line. After meeting Gwyneth in Liverpool during one of his shore leaves they subsequently married. He then looked for a position shoreside, but to qualify he had to have been a captain of a ship. This he achieved, becoming the captain of Rochester Castle of Union Castle Line, part of the British and Comonwealth Shipping Group which includes Clan Line. He was keen to teach and pass on his experience and knowledge to upcoming officers of the British Merchant Marine and secured a teaching position at the Warsash Marine Academy. As the UK's Merchant Marine declined so did the need for teachers. He was fortunate to gain a position at Cayzer House the London headquarters of British and Comonwealth Shipping Company where he managed sea going deck officer appointments for the company. Since his early retirement from that position he had tought part time in local schools and was heavily involved in the activities of Trinity Methodist Church Chelmsford. He will be sadly missed by all who had the good fortune to know him. Society members extend their deepest sympathies to Lynne and Huw and all other family members at the loss of a caring and much loved father and grandfather. It is with great sadness that we announce the sudden death on Saturday 29th March of society member Alun Thomas from Brentwood . Alun was attending the funeral of a family friend in Wales when he had a stroke from which he did not recover. The family decided to hold the funeral service in Wales which was at Pembrey Church, Mountain Road, Burry Port SA16 0AJ on Friday 11th April at 12.00. This was be followed by a private cremation at Llanelli Crematorium, and then afterwards at the Ashburnham Hotel, Burry Port. It is with great sadness I inform you of the death of Renée Foster, who had been a loyal member of our society for many years. Renée, who was a close friend of Agnes Evans and Dot Curtis, had recently moved to Mansfield to be near her niece. We send our deepest sympathy to her family at the loss of a much loved person. It is with much sadness and regret that we announce the death of our long standing member and supporter Agnes Evens aged 90 years, who died in Broomfield Hospital on the 28th August 2014. Agnes was a loyal and faithful member of our society and she will be greatly missed by all who had the good fortune to know her. Her funeral was held on Thursday, 18th September 2014 at Holy Trinity Church, Trinity Rd, Chelmsford, followed by cremation at the Chelmsford Crematorium. It is with great sadness that I inform you of the death of Norma Maskell. Norma was an honorary vice-president of our society and served for many years on the committee. She very much enjoyed attending society meetings and events in the company of her much loved husband Ron. Norma will be greatly missed by all who had the good fortune to know her. Norma's Funeral Service was held on Monday 27th October at St Mary's Church, Great Bursted at 11 a.m., followed by cremation at Chelmsford Crematorium and afterwards at Greenwoods Hotel & Spa, High Street, Stock. Ron Maskell sadly passed away on Sunday, 18th October 2015 – just one year after the death of Norma, his much loved wife. His funeral was held on Wednesday, 11th November 2015 at 12 noon at the Church of St. Mary Magdalene, Great Burstead CM11 2TR, followed by cremation at Chelmsford Crematorium at 1.30pm. We send our deepest sympathy to all the family at the loss of a much loved father and grandfather. Ron was a ‘gentle gentleman’ who was much respected by all who had the good fortune to know him. Both Norma and Ron were supportive and faithful members of our society for many year. The funeral of Lt. Commander John Robert Styles took place in Chelmsford Cathedral on Tuesday, 9th April 2019. The funeral was attended by many members of the Chelmsford and District Welsh Society. This is a summary of the eulogy given by Brian Thomas on behalf of family and friends. 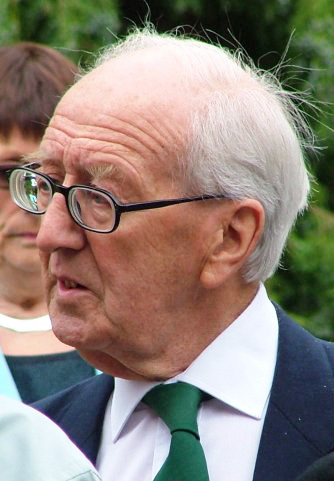 John was born in North East London in 1925- the son of a police officer. He had two sisters – Peggy and Betty. John was evacuated to Essex in WW2 and attended the prestigious Brentwood School. He left school early and joined the Royal Navy. Following his basic training he volunteered to become a submariner – a brave decision by a brave man. He trained in midget submarines – X craft- in Scotland. Winston Churchill once said :’Of all the branches of man in the armed forces there is none which shows more devotion and faces the greater peril than the submariners. John was a proud member of the Sub-Mariners Association and he enjoyed attending the annual reunions in Gosport. One of his drinking friends at the reunions was Peter Shand Kydd – stepfather of the late Diana – Princes of Wales. He proudly wore his submariner’s ties. The war in Europe ended in 1945 and John was redeployed to the Far East and served on surface ships. He was involved in the surrender of Japanese forces in Singapore. When John retired from the navy he joined a bank but such was his love for the sea that he soon re-joined the Navy and became officer in charge of the Royal Naval Reserve for South Wales and the South West of England. It is fitting that John’s ashes will be scattered at sea in a naval ceremony. John was proud to be British; proud to be English and proud to be an adopted Welshman. He claimed that he was well versed in the Welsh language – he knew a few swear words and could order fish and chips in the language of Heaven! He was most proud of the achievements of his sons Paul and Malcolm; his daughter Sarah Jane and his wife – Cynthia. John was a talented craftsman and in his later years he took up silversmithing and his creations all bore his personal hallmark JRS. Cynthia proudly wore a dragon brooch at the funeral service. He enjoyed gardening and his garden at Littell Tweed was always kept in pristine condition. He took great care and pride in his tools – and although some were over 50 years old they looked like new. He made a great contribution to the local community and served as a Parish Councillor – representing the Liberal Democrats; and as Chair of Governors for Barnes Farm Junior School. He gave tremendous support to Cynthia as she undertook numerous roles in the Chelmsford area. John has left a hallmark not just on his beautiful silver creations but on all who had the good fortune to know him. He had twinkling eyes and a beaming smile. He will be remembered for his devotion to his family, his service to his country and the local community; his wicked sense of humour and his kind deeds. Bless us this night we pray. And say – goodbye John – but just for now!